Rotherham United and Bolton Wanderers, the two teams who are eager to secure yet another top flight survival, take on each other at AESSEAL New York Stadium on Matchday 13. Rotherham United aim to bounce back from a 3-1 loss to Birmingham City and, no doubt, they are determined to put an end to their five-game winless run in the English second tier. 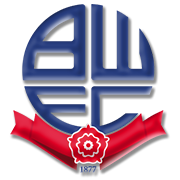 Bolton, on the other hand, failed to find the net in previous two league fixtures against Stoke City and Blackburn Rovers and it is more than obvious that they suffered a dip in form. The Millers produce much better showings in front of home fans than on the travels, therefore, we predict that they are going to pick up all three points from Saturday’s football match against Bolton. You should bear in mind that Rotherham outclassed Bolton 4-0 in their last meeting at AESSEAL New York Stadium. Darren Potter is a former Liverpool school boy captain who currently plays for Rotherham United in the Championship. Born in Liverpool on December 21, 1984, Potter made two appearances for the Reds in the English top flight, but you should know that he featured in Liverpool’s run to the Champions League final in the 2004/2005 season, coming from the bench against Bayer Leverkusen in the last 16 of the elite competition. Darren Potter is a right-footed central midfielder, who plays as a defensive midfielder as well. The 183-cm tall footballer was part of Milton Keynes Dons from 2011 to 2017 when he signed a two-year contract with Rotherham United. Darren Potter played for Sheffield Wednesday, Wolverhampton and Southampton in the past as well. Speaking of his international career, he has five caps with Republic of Ireland national team. Potter made his debut with the Boys in Green in a friendly against Ecuador on May 23, 2007.